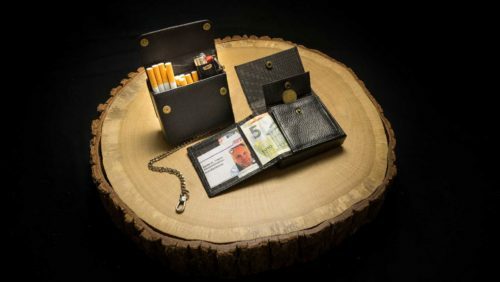 This little wallet may seem unremarkable at first, but flip open the rear pouch, and you will find a special compartment for your cigarettes and lighter. With a flick of the wrist, your money and cigarettes are in hand. The wallet also features an anti-theft chain. Practical, easy to use, and unique: The perfect accessory for adventurers on the go. Your new sidekick: An Original Kavatza.